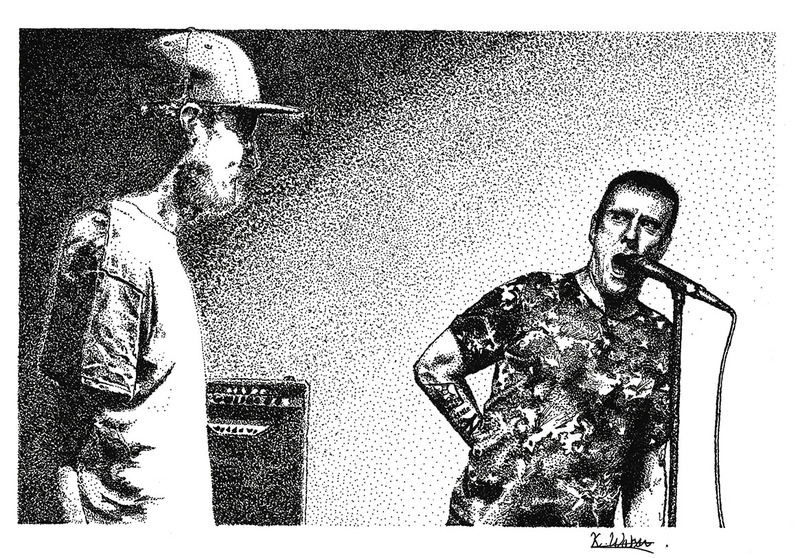 “Out Of The Din” featuring British band Sleaford Mods. My contribution was included in the bundle packs for Invisible Britain, the crowd funded documentary by Paul Sng and Nathan Hannawin which featured the band. “Out Of The Din” is comprised entirely of dots (yes, even the lines!) and is approx 10 hours of work.